Does black currant oil work for hair loss? What are the benefits? In this black currant seed oil reviews, we will cover everything you need to know about black currant seed oil: What it is composed of, health benefits, possible side effects, and mostly importantly, how black currant oil can help with hair loss and finally, our TOP 3 recommendations for thinning hair – aka Androgenic Alopecia. Spoiler alert! We included an exciting study about black currant oil and how the majority participants experienced new hair growth from it. As you can see, we have a lot to cover. Let’s get to it! 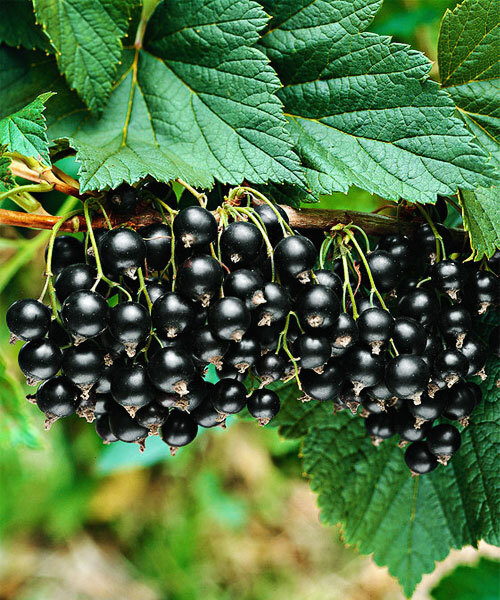 Black currants are a shrub originated from Europe and Asia. Also known as Ribes Nigrum or Blackcurrant (in one word), these tart taste / black currant berries look somewhat similar to blueberries, but in a darker version. They are packed with amazing nutrition and compounds beneficial for our body. What are black currant oil benefits for hair loss? Here are the highlighted health benefits of black currant oil for hair and for our overall body. Did you know black currant contains 3 TIMES the vitamin C than oranges (source from Dr Oz website)? Vitamin C, also known as Ascorbic Acid, works wonders for boosting our immune system (People with alopecia areata can get good benefits from it), repairing our body functions and working as an effective antioxidant agent. When it comes to hair, Vitamin C is a crucial nutrion for healthy hair growth by strengthening follicles and preventing any damage from brittleness and split ends. Black currant oil is a great source to get essential fatty acids including omega-3 fatty acid, alpha linolenic acid (ALA) and omega-6 gamma linoleic acid (GLA). In fact, black currant seed oil contains a high amount of omega-6 gamma-linolenic acid, which is almost TWICE MORE than evening primrose oil, another popular natural remedy used for hair loss and many other symptoms. GLA is a natural source for healthy skin and hair growth. It also supports our immune system, reduces inflammation, and plays an important for regulating cholesterol levels. Polyphenols are compounds found in natural sources such as vegetables, fruits, teas, and plants. These naturally-producing compounds (Flavonoids being one of the Polyphenolic group) are known for anti-inflammatory properties and antioxidant qualities such as fighting various diseases including cancer and cardiovascular disease. Both anti-inflammatory and antioxidant properties also play an important role for healthy hair growth. For instance, a study published in the Journal of the National Medical Association in the year of 2015 shows that how Polyphenols can promote hair regrowth. The researchers tested a group of mice by feeding green tea water which is also rich in Polyphenols. 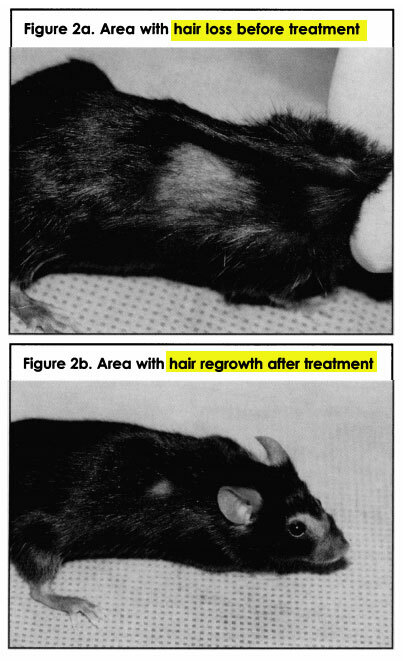 After 6 months, the team observed new hair growth in them, while the placebo mice group that drank regular water experienced no hair growth. Thanks to abundant black currant nutritional benefits including Vitamin C, Omega 3 and 6, and others (Vitamin A, Iron, Calcium, and Vitamin B1, B5, B6 to be exact according to Dr Mercola), black currant seed oilis also used for treating various symptoms including inflammation reduction, eye health improvement (especially dryness), skin elasticity and vitality (thanks to Vitamin C properties), and even weight loss benefits. Any black currant oil hair loss research? A study published in the Journal of Cosmetic Dermatology, a group of researchers evaluated how specific omega 3, omega 6, and antioxidants can affect hair loss. 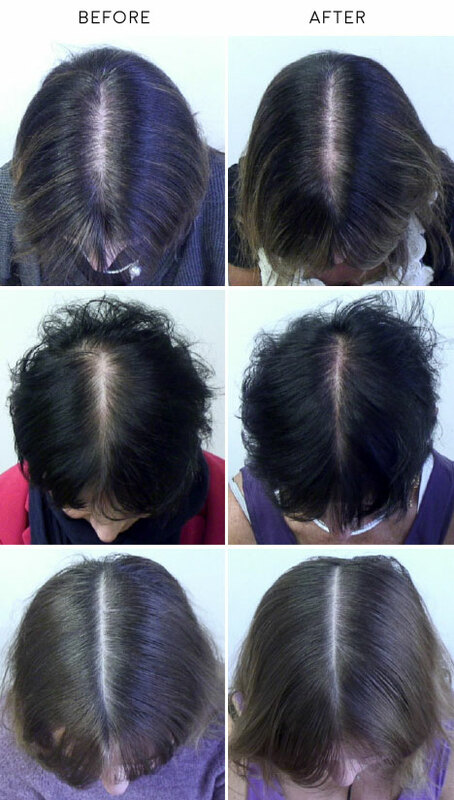 How is this hair loss research designed? The study included 120 (healthy) female participants who are then divided into active and placebo groups. They were assigned with taking following supplements everyday for 6 months. How was the results measured? What does the result indicate? Taking each ingredient as dietary supplements (which includes the large dosage of Blackcurrant seed oil and fish oil which are the great sources for omega 3 and 6) on a daily basis appears to be an effective hair loss treatment in terms of 1. reducing hair loss, 2. increasing hair counts and 3. hair thickness. And this naturally occurs because hair follicles are receiving essential nutrition they need, thus staying longer in the Anagen (active hair growth) phrase. Evening primrose oil is also another popular natural remedy people often use for thyroid-related hair loss as well as for the oil massage on the scalp for hair growth. What’s in common? Both evening primrose and black current oil contain gamma-linolenic acid (GLA), which is the essential omega-6 fatty acid (also found in borage oil). GLA is great for fighting inflammation, regulating metabolism and stimulating both skin and hair growth. What’s the difference between black currant oil vs evening primrose oil? While both oils are rich in GLA, the difference is in the amount of GLA. For instance, evening primrose seed oil contains 8 to 10 percent of GLA, while black currant oil contains ALMOST TWICE MUCH which is 15 to 17% according to Dr Mercola. 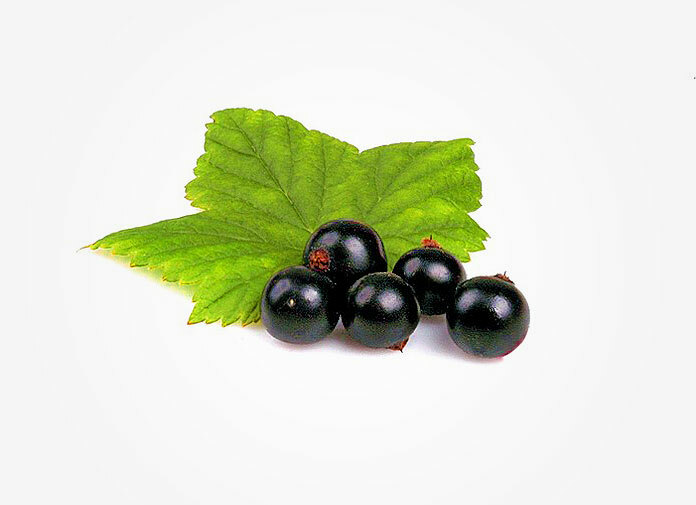 Benefits of black currant were also mentioned in a Dr Oz episode. When it comes to the hair department, Dr Oz said black currant oil combined with Fish oil help with thinning and damaged hair and healthy hair growth (it’s a very similar formula to the research mentioned above). If you also read black currant oil reviews for hair loss on Amazon, you will find a great number of people reporting positive experience with their thinning and fine hair. 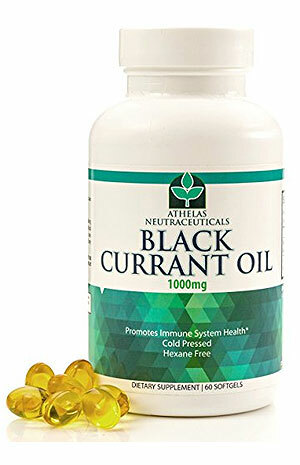 Any black currant oil side effects I need to know about? According to WebMD, black currants are considered to be “likely safe”. However, after researching for hours, we found one thing in common you want to keep in mind. While black currant oil appears to be generally safe, make sure that you don’t over-dose yourself. Some of the black currant oil side effects we read are often caused by the excess usage, which may result in allergic symptoms such as skin rash. Also if you are going through major health issues, pregnant or expecting a surgery, make sure to talk to your doctor before taking any types of supplements including this. It’s always good to be safe. Now Foods, a natural health company founded in 1968 in Illinois, is known for providing quality vitamins and supplements for a good value (the company’s philosophy). And their black currant oil supplement is not an exception to this. 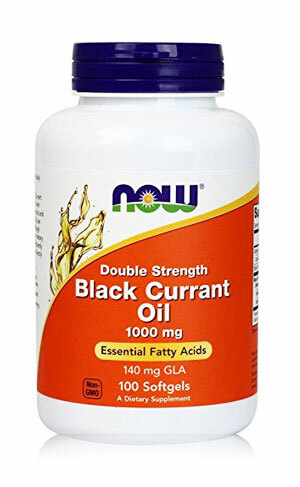 Now Foods’ double-strength black currant seed oil contains 1000 mg per 1 soft gel and there are total 100 softgels included in each bottle. This means that one bottle will last you more than 3 months! You can’t also beat the price which is more affordable in comparison to other competing brands. No artificial ingredients here! Just pure black currant oil is what you get. 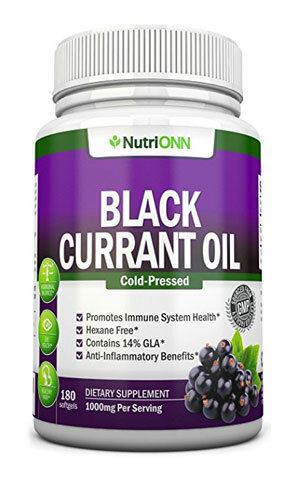 NutriOnn’s black currant oil is another hexane-free supplements with high content of GLA. The company took extra steps to make sure their currant oil contained in the gel capsules as pure as possible by cold-pressing them and removing any additives or axing out chemical extracting methods. The company also manufactures all of their supplements in a GMP-complaint facility in United States. If you are looking for a natural remedy to treat your thinning hair, black currant oil (which is rich in GLA and other essential nutrition for hair) is definitely worth trying. Not only it was highly recommended by Dr Oz, but the amazing before and after study results in terms of dramatic hair loss improvement shows great benefits of what black currant oil supplements can provide to your thinning hair. Have you tried black currant oil for hair loss? We would love to hear your story. I have 3 Black Currant bushes in my garden. I love the jam but have to add quite a bit of sugar to combat the sharp taste of the jam. I am wondering if there is another way I could use my berries than to jam them.